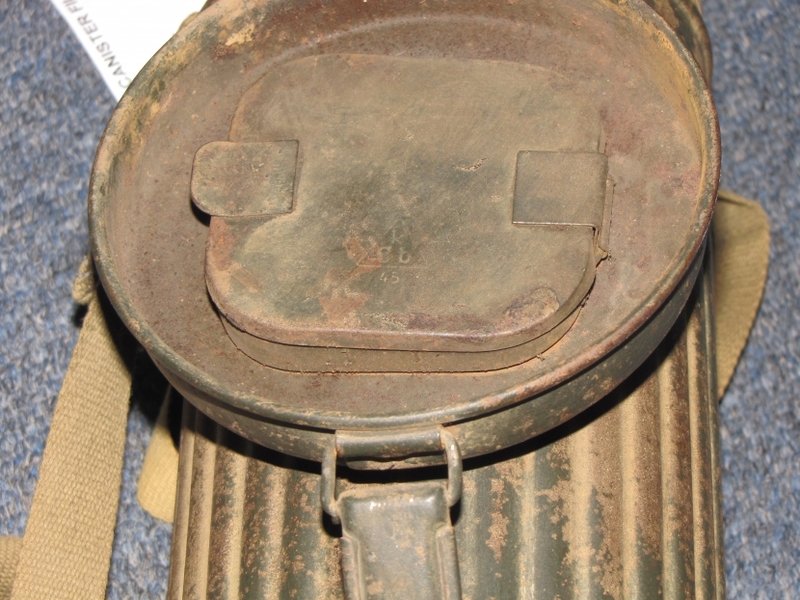 Home » Archive » GWG-0034, WWII German Gas mask canister filter and post war mask. GWG-0034, WWII German Gas mask canister filter and post war mask. This is an interesting set with a gas mask canister which is maker marked and dated 1945. The gas filter is dated 1944 along with an ink stamped waffen-amt. 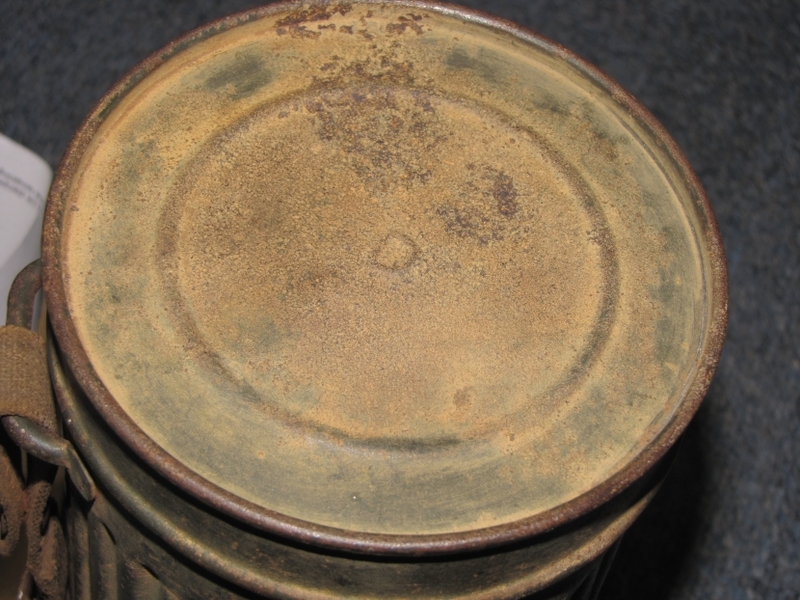 The cannister has about 15% of the original paint. The original replacement lenses are still in the container in the lid. The remaining area is light to moderate rust to the surface. 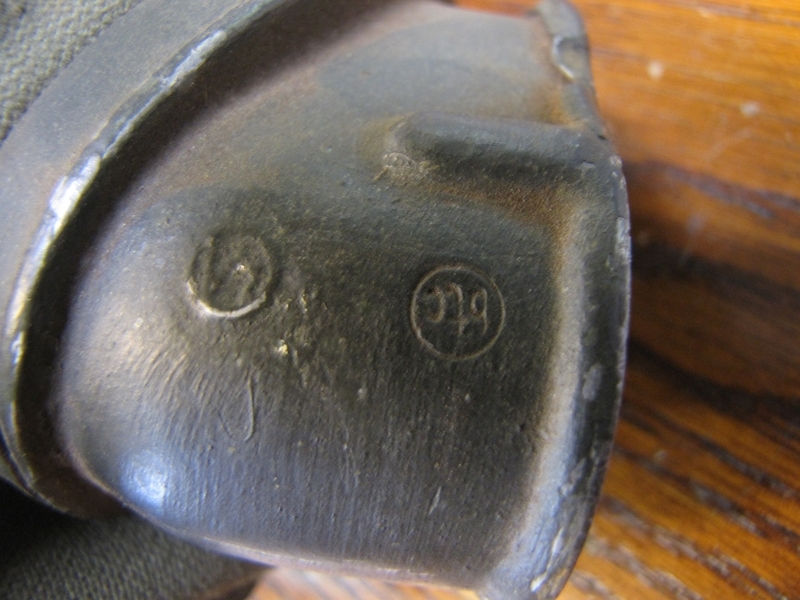 The mask has an ink stamping of S-14-48 to the outside of the mask.